"La vida es un hilo" - In translation, life is a thread, and something I would hear my grandmother say whenever she heard the news of someone passing. In the last few weeks, I've heard sad news from my friends in Baracoa on the passing of two of their dearest friends. 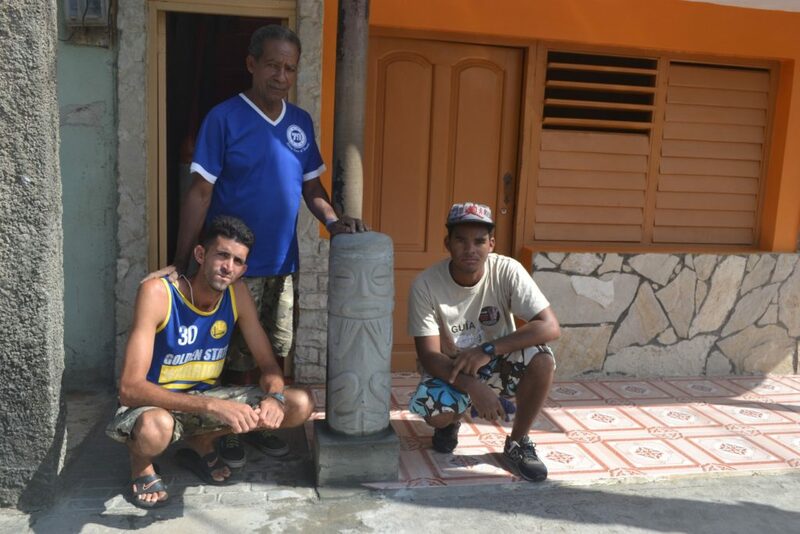 Below is a picture of my good friend and archeologist Roberto Ordúñez (in the blue golf shirt), with a replica of a Taíno idol he calls 'El Idolo de Boruga' that he later reinstalled in the Cueva del Justo where he found this Taíno artifact last year. The photo to the right shows Roberto in the Cueva (he's seated on the left) with a group of his fellow Cuban friends and artists, and in the middle (in gray) Patrick Tesseron, French artist and Tesseron Cognac business principal. All look so satisfied at completing their project. Roberto just let me know that Patrick died two days ago in a freak bus accident in which seven others died and twenty severely injured. Although details are not final, the busdriver might have lost control as he tried to pass a car on the trip down the mountain from Baracoa to Guantamo. 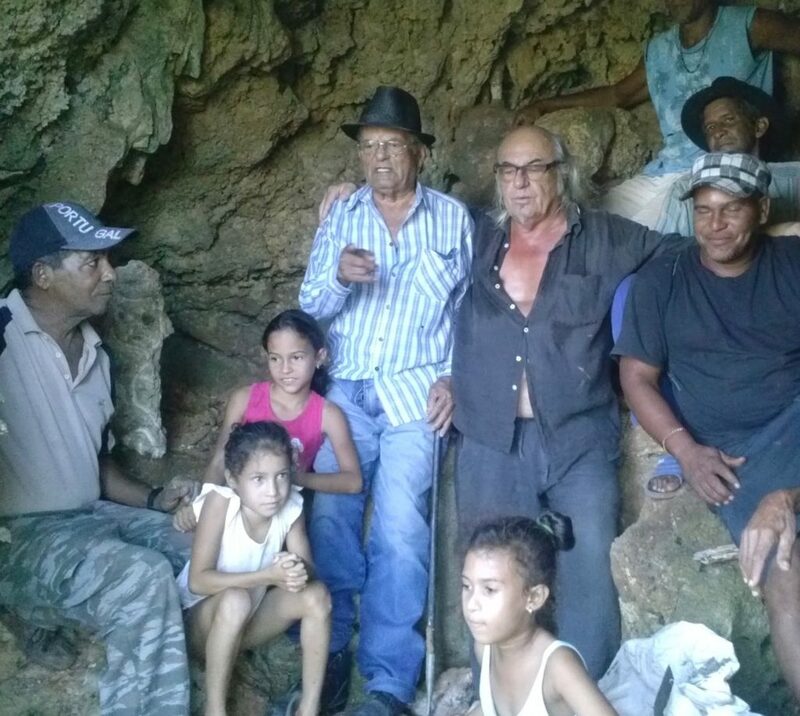 Roberto says they will always remember Patrick for his love of Cuba and particularly the Baracoa area where he was helping to bring Taíno culture awareness to France through his art and interest in archeology as can be seen on various Tesseron websites.